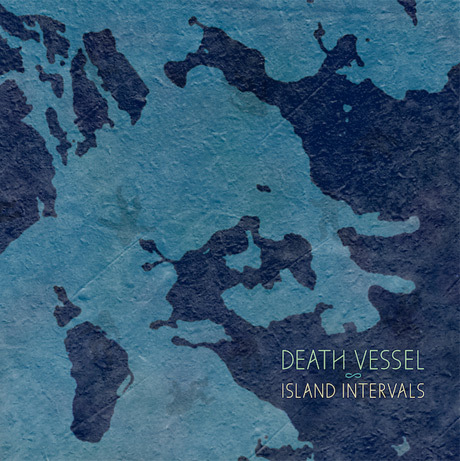 It's been over five years since Death Vessel, the experimental neo-folk project helmed by Joel Thibodeau, issued sophomore set Nothing Is Precious Enough for Us, but the long-awaited third LP Island Intervals arrives next week through Sub Pop. If you can't wait another week, the record is now streaming online. As previously reported, the eight-song set had Thibodeau travelling to Iceland to work with producer Alex Somers (Julianna Barwick, Sigur Rós). Together, the pair produced a conceptual slice of future folk, melding rustic acoustic touches with off-kilter electronic touches. For proof, check out the manipulated child choir on nimbly plucked "Triangulated Heart" or the pump organ and lurching machine drum beat that support Thibodeau's gentle cries on slippery opener "Ejecta." Other highlights include the low-key chamber bounce of "Velvet Antlers" or "Drown," on which Sigur Rós singer Jónsi stops by to intertwine his own gossamer vocals with Thibodeau's. You'll hear it all ahead of the February 25 street date over here on NPR.